Alon Kaplan is of Counsel at Gideon Koren & Co.
Alon Kaplan’s primary practice areas are commercial and business law, as well as estate planning, with an emphasis on international taxation, private trusts and international succession. Alon Kaplan holds a LL.M. from The Hebrew University of Jerusalem. 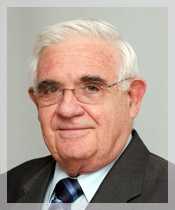 Alon was admitted to the Israel Bar Association in 1970 and appointed a Notary in 1989. He was admitted to the New York Bar in 1990 and was licensed in Germany as a Rechtsbeistand in 1991. He has been an adjunct lecturer at the Law Faculty of Tel Aviv University and at the Interdisciplinary Center, Herzliya. He is currently Academic Coordinator and Lecturer of the STEP Diploma Course at the Institute of Advanced Studies at Tel Aviv University’s Faculty of Law. Alon Kaplan is also a member of the British-based Society of Trust and Estate Practitioners (STEP) was a member of the STEP Council and is currently Deputy Chairman of its Development Committee. After ten years as Chairman of the Israel Branch of STEP, Alon Kaplan now serves as its president. Alon Kaplan is a member of the International Academy of Estate and Trust Law, a member of the Executive Committee of the International Association of Jewish Lawyers and Jurists and a member of the Board of Directors of the Israel-America Chamber of Commerce. He has advised the Israeli Tax Authority on trust legislation. Alon Kaplan wrote his Masters thesis on distributors, and lectures toU.S. and European business audiences on trusts, estates and inheritance, international taxation and commercial law. • Alon Kaplan has also published articles in journals in Israel, the United Kingdom and Germany.